Klorane's Pomegranate Hair Care protects hair colour nautrally. 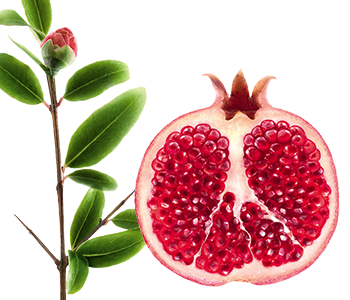 Klorane pomegranate extract is rich in tannins and so highly astringent. This gives it the ability to fix colour on keratin, so the colour lasts even longer.These color fixing properties are reinforced by protective, repairing and nourishing active agents. With its gentle cleansing base, Klorane Beautifying shampoo with pomegranate extract repairs the fair fibre and keeps hair color radiant for longer.